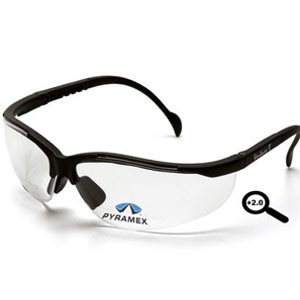 •9.75 base curved lens provides full side protection. •Nose buds secure the glass and prevent slipping while providing a pillow soft fit. •Strategic placement of lens insert is out of user’s direct line of vision.